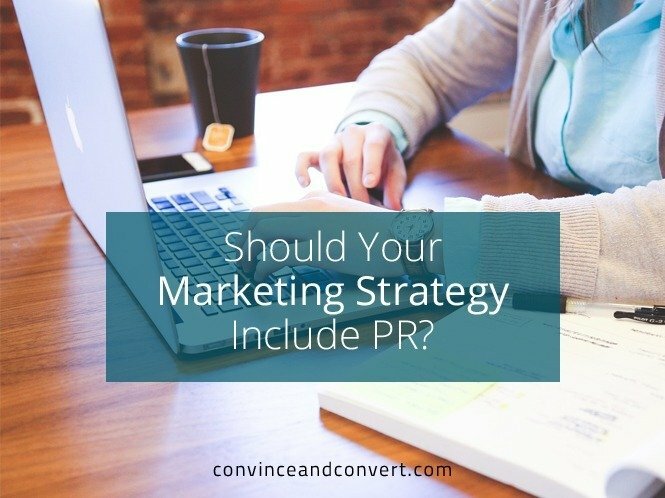 Should Your Marketing Strategy Include PR? PR! It’s powerful. It’s magical. It’s mandatory. For everyone. No matter what your colleagues or favorite websites tell you, PR isn’t always a must-have—not for every business at every stage. For some very young companies, it can be a waste of money. For others, it can be the move that makes the company happen. Let’s take a look at how to determine when a PR investment is a smart decision and when it’s premature. Your company and product have a name, a brand identity, and a target market. You’ve already ironed this out, right? If so, great—time to add PR. But if you haven’t, it’s probably best to focus on branding, marketing strategy, and website development first. It doesn’t have to be pretty and perfect, but you do need to have your story straight and be able to point customers to a place on the Interwebs where they can learn more (and buy!). If you’re a startup, you have a viable product and are at least in beta. Going out to press while in the prototype and idea stages isn’t best. Even early beta can be shaky. You need a product before you ask the media for a little love. Hopefully you also have some customers or beta users who are happy with the product and willing to talk to the press about it. You have the staff resources. Your new PR team is going to request information from you. They’ll schedule regular meetings with you. On your end, you’ll need to read their reports, answer their questions, and monitor their performance. If everyone in your organization is already tapped out, or if you’re running a small company where you wear the hats of developer, CEO, CFO, sales VP, and coffee maker, you won’t be able to invest enough time to make the PR campaign worthwhile. You don’t expect to be on the cover of Fast Company within the first year. Or maybe ever. There, I said it. You probably won’t be on the cover of Fast Company. Still want PR? Good! Realistic expectations are key to masterminding an impactful PR strategy that advances your business goals over time. You’re clear on your business goals. There are some areas of marketing where the objective is obvious. PR isn’t one of them. To you, it may just be about getting media coverage, but that would be the wrong reason to spend money on PR. You hire a PR agency because they know how to identify the right story for the right influencer at the right time. And they know when media relations isn’t the right strategy at all. Good PR teams tie everything back to your goals. A PR agency that doesn’t do this is a PR agency you shouldn’t hire. Once you decide that PR is the right move for you, it’s time to choose between an in-house team and an agency. The deciding factor here is pretty simple: your resources. Generally speaking, it takes a while for a PR program to reach the point where an in-house team is necessary, which is why many businesses opt to outsource at first. Let’s say you’re just starting to dip your toes in the PR pool. You might decide on a program aiming for elevated thought leadership and credibility through speaking at industry events. To that end, you hire a boutique agency that understands your industry. Together you agree on a scope of work that’s goal- and deliverable-focused—not just based on hours. As your company grows, your communication needs will grow as well. You may find a really great PR partner with the resources to meet your expanding needs. The turning point is when you find yourself needing to talk to someone on the PR team every day, multiple times a day, and the agency can’t meet your on-demand needs. Trust me, you’ll feel it when you hit this point. And if you don’t, the best PR agency partners will tell you. A deftly managed public relations program can help companies achieve goals that go far beyond media coverage. As investments go, PR is usually a smart one. But as with many things in marketing, timing is everything.